vSphere RC RAM Under VMware Workstation: How Low Can You Go? 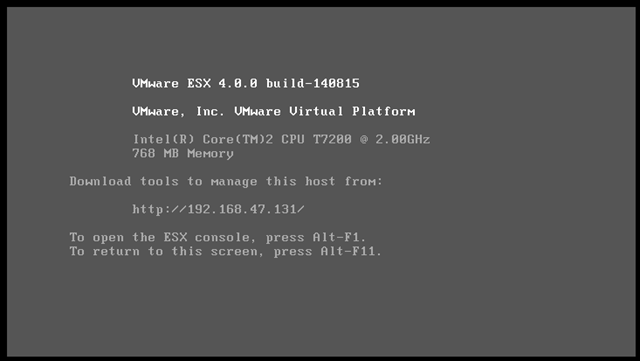 Getting ESX (in it’s various versions) to run under VMware Workstation has proven to be a very popular article on this blog, if you are a consultant who has to do product demos of VI3/vSphere or are studying for your VCP it’s a very useful thing to be able to do on your own laptop rather than rely on remote connections or lugging around demo kit. Good news; the RC build of vSphere will boot under the latest VMware Workstation build (6.5.2) without any of the .vmx hackery you had to do in previous versions and it seems quite fast to boot. Bad news: the RC build of vSphere needs at least 2GB of RAM to boot, this is a problem for a laptop with 4GB of RAM as it means you can only really run one at a time. Luckily: Duncan Epping (or VCDX 007; licenced to design :)) has discovered how you can hack the startup script to allow it to run in less than 2GB of RAM – details here, this isn’t officially supported – but it does work. In the interests of science I did some experimentation with VM’s with various amounts of decreasing RAM to see what the bare minimum RAM you can get away with for a VM’d version of vSphere RC. The magic number seems to be 768Mb of RAM, if you allocate less than this to the VM then it results in a Purple Screen of Death (PSOD) at boot time. And finally the boot screen once it’s finished – it takes 2-3 mins with 768Mb of RAM on my laptop to get to this boot screen. I haven’t tried, but I assume I can’t power on VM’s under this instance of vSphere but I can connect them to a vCenter 4 machine and practice with all the management and configuration tools. can I run that lab on a PC, what minimum PC hardware requirement that I can test with smoothly. I’m using it on a Dell D620, 7200RPM HDD, 4GB ram and an intel core 2 CPU @2GHz and it works ok for me – just make sure you use something that has (or can support) Intel VT or the AMD equivalent. Is there already a workaround for the GA version available ? 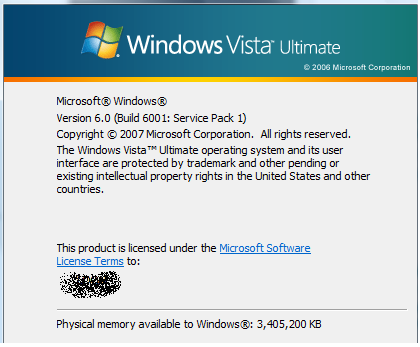 I am unable to get this to work using Windows 7 X64 and vmware workstation 7. 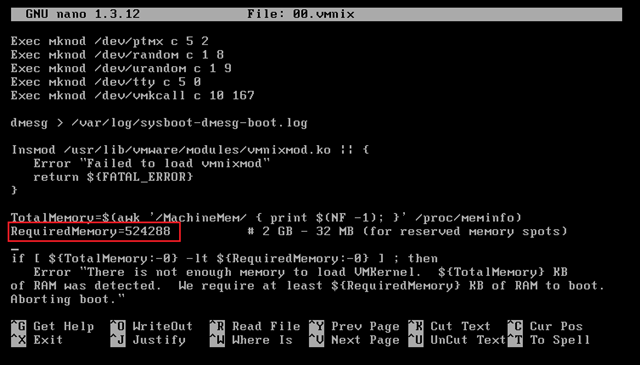 I can edit the 00.vmnix file to a lower memory amount but I continue to get the memory error. 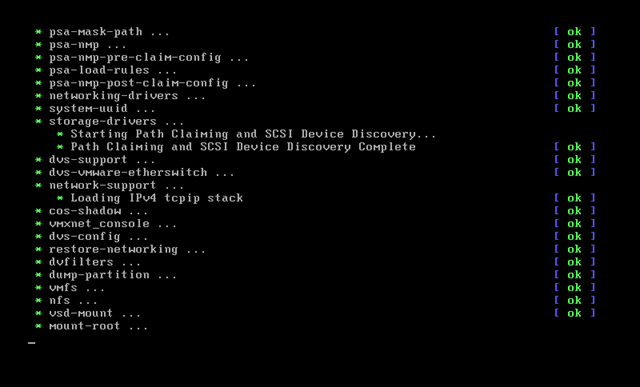 It will only boot if I assign the ESX VM 2 GB and nothing less. After it boots I go back to check the 00.vmnix file and it is what I set it to previously so that setting is working but in vmware workstation 7 my ESX VM must have 2 GB or the memory message appears.